Original Post: The United States Centers for Disease Control and Prevention has stated that the number one cause of death among children in the United States is injury sustained in motor vehicle crashes. Unfortunately, some of these deaths and severe injuries could easily be prevented by following some simple car safety guidelines in relation to child passengers. These 10 tips can help you keep your child safe while you’re on the road, and shouldn’t be neglected even for short jaunts. 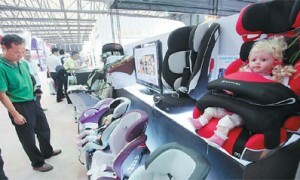 Avoid Used Car Seats – Baby gear is expensive, and buying some items secondhand can translate to significant savings. One item that you should never buy used, however, is your baby’s car seat. In addition to the fact that car seats do have expiration dates, you have no way of knowing whether or not a used seat has been involved in an accident. Should you ever become involved in even a minor crash, it’s also important that you immediately replace your child’s car seat. Even non-serious accidents can damage the inner workings and safety features of a car seat in ways that aren’t immediately apparent. Install Car Seats Correctly – Properly installing a car seat can be challenging, especially if you’re unfamiliar with a particular model. However, ensuring that your child’s seat is installed correctly could very easily be the difference between him escaping a crash unscathed or sustaining very serious injuries. 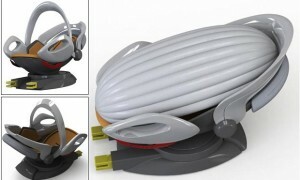 Child Passenger Safety Technicians offer free installation instructions, which is a service you should take advantage of. Visit safekids.org to locate a safety tech near you. Adhere to Size and Age Guidelines – It can be tempting to turn your infant forward-facing before she’s ready or allow your older child to transition out of his booster seat a bit early, but the age and size guidelines put in place by the National Highway Traffic Safety Administration exist for a reason. Adhering to these guidelines may not always be convenient, but could very well save your child’s life. Booster Seats are Necessary – Older children, especially those that are smaller than their classmates and are not ready to transition out of a booster seat, often resent being forced to use one. Seat belts in your vehicle, however, are designed to protect an adult in the event of a crash, not a child. He simply is not safe without his booster seat until he’s reached the upper limit of the size and weight restrictions. Avoid Distractions – Keeping your children safe in the car doesn’t just depend upon your ability to install car seats and enforce booster seat rules; you also have to avoid distractions that could potentially lead to an accident. Talking or texting while driving, scanning the radio, or even manipulating a GPS can all be distractions that could lead to potentially deadly crashes. Don’t Negotiate With Older Children – Regardless of how much your kids beg and plead to be allowed to ride in the front passenger seat, it’s important that you stand your ground and refuse to negotiate with them on the subject. Remember, your kids’ safety is non-negotiable. Pull Over – If you have to retrieve a fallen toy or soothe a crying baby, it’s imperative that you always pull over to do so. Even low-speed crashes can be serious for small passengers. Backseat is Always Best – Even when your child is old enough and large enough to transition out of her booster seat, the backseat is always the best place for her. Front passenger airbags deploy with an enormous amount of force, and can cause more injuries to a child than the crash itself. Remember that the restraints and safety features in the front seat of your car are intended to protect the larger, sturdier bodies of adults. One Child Per Restraint – Running a carpool or giving one of your child’s friends a ride to practice can leave your car a bit overcrowded, but you should never allow more than one child to share a single restraint. If there aren’t enough seatbelts in your car to accommodate each passenger, you should always make other arrangements. Never Leave Kids Alone in the Car – In some states, it’s illegal to leave a child in the car unattended, even for a moment. Vehicle safety for kids doesn’t just include the time that you’re in motion, but also when the car is parked. Kids left alone in a vehicle can be affected by the outside temperature, or be curious enough to crawl into the front seat, inadvertently knocking the car into gear. While this list covers many of the safety considerations you should follow when transporting children, it is by no means exhaustive. There are a variety of things that you should know about car safety when children are involved in order to ensure that even the smallest passengers in your vehicle are secured properly and protected in the event of an accident.